Product prices and availability are accurate as of 2019-04-18 19:04:46 BST and are subject to change. Any price and availability information displayed on http://www.amazon.co.uk/ at the time of purchase will apply to the purchase of this product. 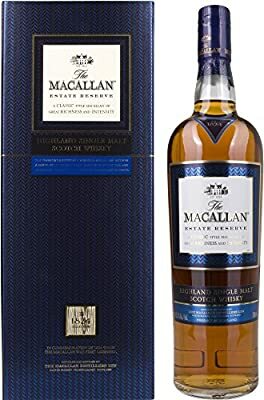 Macallan Estate Reserve Speyside single malt Scotch whisky. From the 1824 Collection selected from cask which draw on maximum intensity and depth of flavours.